The hugely talented Melbournian soprano Siobhan Stagg recorded this beautiful collection of Romantic art songs in 2013 with pianist Amir Farid, and it is the only available solo CD she has produced so far. It is of great interest, as the unique beauty of her voice and her outstanding artistry are already very evident. However art songs, by their intimate nature, are not the ideal vehicle for “showing off “ a voice, and to hear the full glory of her instrument, one needs to visit her current webpage at http://siobhanstagg.com/listen/. How exciting to hear her, just 2 years later, performing ‘Ihr habt nun Traurigkeit’ in Brahm’s Requiem with the Berlin Philharmonic, conducted by no less than Christian Thielemann! The clarity of her sound is breathtaking. Those top notes glisten like dewdrops hanging in a spider’s web in the morning sun, and the ease with which she sings, along with her flawless intonation, also set her apart. It is no wonder that the great Christa Ludwig described Siobhan’s voice as “one of the most beautiful I’ve ever heard” (quoted on the Berliner Philharmoniker website). 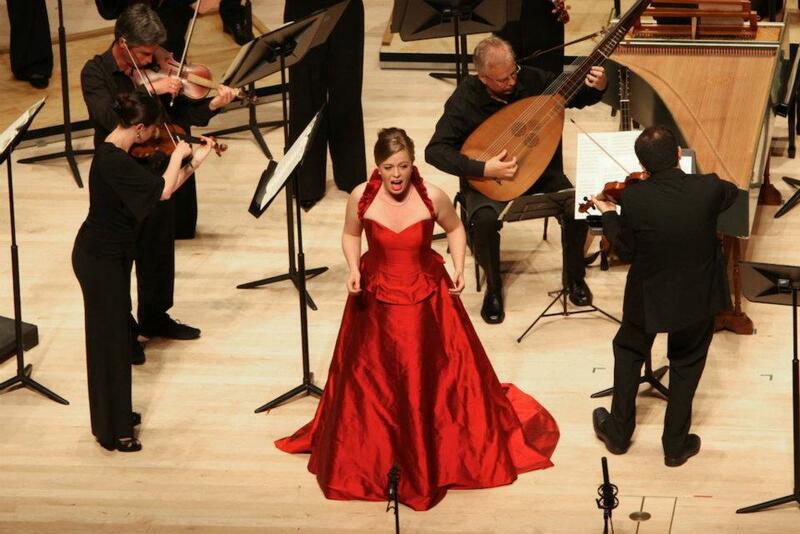 She has been working largely in Europe since she joined the Deutsche Oper Berlin as a young artist in 2013/14. She has performed with that company as well as Hamburg State Opera, Berlin State Opera, Grand Theatre de Geneve and Royal Opera House, London. Roles she has sung include Pamina (Die Zauberflöte), Sophie in Werther, Sophie in Der Rosenkavalier and Blonde in Die Entführung aus dem Serail. She created the role of Marzelline for a new production of Fidelio in Geneva and she sang the title role in Keith Warner’s production of Orpheus (Luigi Rossi) for the Royal Opera House, which was presented in the Sam Wanamaker Playhouse at Shakespeare’s Globe (London) in October 2015. All the reviewers have been mightily excited by her performances. And the good news is that she returns home this year to appear as the guest artist with tenor supremo Roberto Alagna on his Australian tour in July. Not surprisingly she has also been garnering honours in several international competitions and you can hear some of her prize-winning performances at the link above. I particularly enjoyed her ‘Depuis le jour’ by Charpentier, videoed live in rehearsal for the 2014 International Belvedere Competition in Düsseldorf in which she won a major prize. It shows off those gleaming high notes to perfection. And ‘Marietta’s Lied’ from Korngold’s opera Die tote Stadt, recorded live at the Melbourne Recital Centre in July 2015, is another gem. Siobhan Stagg originally graduated from Melbourne University with a Bachelor of Music (Honours)(2009) and a Master of Music Performance (2012) before earning her Master of Advanced Vocal Technique from the Wales International Academy of Voice in Cardiff (2013). Her studies were supported by at least 10 Australian scholarships. She first met Amir Farid, a fellow music student, at Melbourne University and they won the first prize at the Mietta Song Competition in 2012. Amir Farid was winner of the 2006 Australian Piano award and is pianist in the renowned Benaud Trio, which won the Piano Trio prize at the 2005 Australian Chamber Music competition. 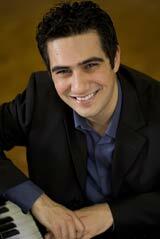 In 2013 he was awarded the inaugural Dame Nellie Melba Opera Trust Repetiteur scholarship. Move Records has just released Amir playing the complete piano works of Stuart Greenbaum to celebrate Greenbaum’s 50th year. He is also a graduate of the Melbourne Conservatorium of Music. He plays with great sensitivity and intelligence. More about him at www.amirfarid.com. Clearly Siobhan is something out of the box and certainly that was my impression when I first listened to this superb recording of art songs accompanied by Amir Farid. Their choice was guided by the desire to perform those that demanded a close collaboration between singer and pianist and to showcase the individual talents of both. Their partnership works wonderfully well. Farid’s playing is intelligent and nuanced and his technique is first class allowing him to make everything sound effortless. Some of the greatest (and most difficult) Romantic art songs are presented – Schubert’s ’Du bist die Ruh’, Duparc’s ‘Chanson Triste, Wolf’s ‘ Kennst du das land’, and Liszt’s ‘Oh quand je dors’. Stagg’s exciting top register is in evidence from the first track, ‘Les Filles de Cadiz’ of Delibes, which she tosses off with consummate ease. In ‘Du bist die Ruh’ she sails up the long rising phrases through the passaggio to arrive at a faultless climax each time – few could do it better. ‘Ma rendi pur contento’ by Bellini provides some contrast with its simple unadorned melody well suited to her clear legato, and the two English works –Quilter’s ‘Fair House of Joy’ and Elgar’s ‘Like to the Damask Rose’ are sung with excellent diction. ‘Die liebe Farbe’, composed by one of her teachers, Dermot Tutty (b.1975 Melbourne) is included on this CD. It is a very fine song composed in the Romantic tradition and its flowing melody and expanded arpeggiated passages in the accompaniment are reminiscent of Duparc. ’Zuiegnung’, of Strauss, suits Stagg’s voice perfectly and their performance of the Wolf ‘Kennst du das Land?’ is absolutely dazzling. The title of the CD comes from the song by Margherite Monnot to words by Edith Piaf. It concludes the recital.